It turns out that half of MPs are completely unaware of the government's own policies set out for small business growth. Almost 60% admitted they had never heard of the Angel CoFund, the Government's £100m seed investment arm, while the Patent Box legislation, helping entrepreneurs profit from their own intellectual property, was a mystery to 53% of MPs. Out of 100 politicians from the House of Commons polled, 55% had never heard of Catapult Centres, the organisations set up by Innovate UK (the Government's innovation arm) to promote development and research; 48% had not even heard of Innovate UK itself. This follows on from one of the major talking points of the summer budget announcement: the new National Living Wage of £7.20 an hour for workers over 25 from April next year. This will rise to slightly more than £9 an hour by 2020. This is of course great news for employees but will have an impact your wage bill. 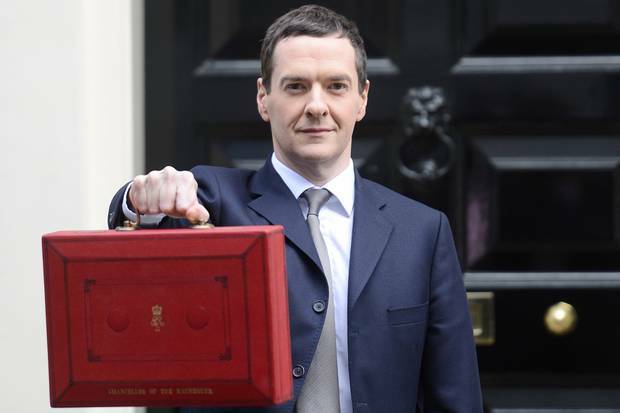 How else could the latest budget impact small business growth? In this blog we will highlight some key factors and their impact on small and medium sized businesses. This annual investment allowance, which was set to reduce to £25,000, will be set permanently at £200,000 from the beginning of next year. This allowance means businesses like yours can deduct the full value of specific items, including machinery and equipment, up to a total value of £200,000 from your profits before tax. This could help you considerably with cash-flow as the full tax relief is given in the year items are purchased, rather than over multiple years. The permanent increase will aid your business plan when spending on longer-term investments. The main rate of corporation tax has already been cut from 28% in 2010 to 20% to boost UK competitiveness. It will now fall further, from 20% down to 19% in 2017, and then finally right down to 18% in 2020, benefiting over a million businesses. Your businesses will have the employer National Insurance bill cut by another £1,000 from April next year, as the Employment Allowance rises from £2,000 to £3,000. This much improved Employment Allowance gives charities or smaller businesses like yours a cut in the employer National Insurance you pay. In basic terms, from next year, businesses will be able to employ four people full time on the National Living Wage and pay no National Insurance whatsoever. In some of the biggest changes to Sunday trading laws since the 90s, George Osborne intends to use devolved powers to allow local councils and mayors the responsibility to determine the hours traders in their location can remain open. There has been clear evidence that Sunday shopping transactions are actually growing quicker than those made for Saturday. Some retailers want to be able to compete by opening for longer at the weekend but there is an argument that Sundays are the only time retail workers get to spend quality time with their family. We'd love to know your opinion and we hope you found this guide of use. If you'd like to learn more about making the most of your online investment make sure you read our free eBook on the benefits of Inbound Marketing.